You should buy five of them. It’s only been out a short while but the verdict is unanimous: Pundits love the Google Pixel! Mostly as a tool to bash Apple over the head. There are so many ways. This is just one. This week didn’t look good for Apple. Does any week ever look good for Apple when you’re drinking the hallucinogen-infused water that comes out of the Business Insider drinking fountain? 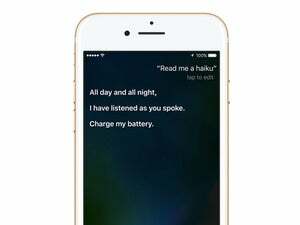 …largely because of the phone’s new digital helper called Google Assistant. …Google’s AI is too stupid to be meaningfully helpful at this stage. That sounds super embarrassing for Apple. Kovach touts Assistant’s superiority over Siri and provides several examples from his review that convinced him of this. The thing is, the Macalope threw roughly the same queries (changing for location differences) at Siri on his iPhone SE and they all worked. So where is this supposed advantage? The point is that as a whole, smartphone assistants aren’t smart enough to be defining features. They’re gimmicks, and Google unwisely decided to build a phone around one. Haven’t you heard? It’s awesome. It does those things Siri, uh, apparently also does. Maybe this is true, it certainly seems to be the conventional wisdom, but Kovach hasn’t shown it to be. Marques Brownlee’s testing shows that Assistant’s advantage is in context awareness but Siri often gives more information (and gets more contextual cues than the Macalope expected). Brownlee gives a slight nod to Assistant, but the difference is not that drastic. Most importantly, however, AI isn’t the only reason one buys a smartphone. The iPhone 7 is water-resistant, the Pixel is not. The iPhone 7 looks like an iPhone 7 while the Pixel looks like an iPhone 6 knock-off. Strangely (disclosure: not strange at all, completely expected), Kovach does not mention privacy concerns anywhere in this piece, possibly because such hand-wringing is the province of only the weak-kneed and those who have something to hide. Besides, it’s not like Google’s going to use your personal information for anything. We’d all like to see Siri get better. But Google’s advantage here is somewhat exaggerated.